Unraveling rhabdomyosarcoma, osteosarcoma, dipg and medulloblastoma using engineering, biomedical, and translational research tools. See also our related blog for the Pediatric Preclinical Testing Initiative. 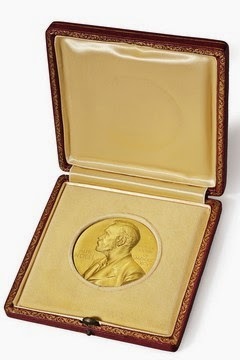 To read the improbably story of an altruistic gift to science, followed by another gracious gift, see the story by Daniel Dunaief here. 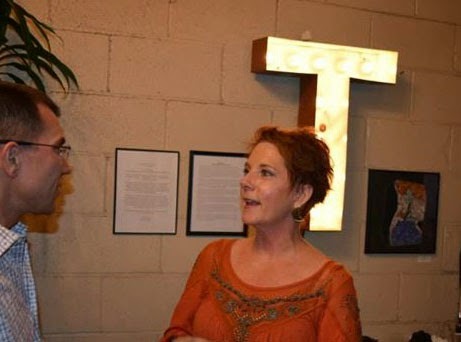 This month the collection, "Mother & Son: The Art of a Mom’s Journey through Childhood Cancer with Her Son" will be on display at Tiny’s Coffee 1412 SE 12th Portland, Oregon. The artist, April, is an advocate for childhood cancer survivorship, her son now thriving after a challenging period with sarcoma. The mixed media of paint-on-radiograph is accompanied by the history, from a mother's perspective, of the experience. This week the AACR held a think-tank in Philadelphia on the critical issues in childhood cancer research and care delivery. In attendance were 43 invitees from universities, pharmaceutical companies and patient advocacy groups. Topics included prevention (yes, prevention! ), improved care for hereditable cancer predispositions, making drugs available for children with cancer, and the promise of genomics in delivering personalized cancer care. Charles presented on the topic that not only mutation but also cell of origin strongy influences response to treatment - and the types of epigenetic therapies that can be given. How much is a tumor like a wound? Will tumor cells interact with the body's normal muscle stem cells, co-opting them for advantage to the tumor? Can IL-4 Receptor antibodies block this process? These are the questions in our NIH R01 grant application that was scored this week in the top 4% of grants for that review cycle (usually, the top 9% of grants are funded). We're very excited about this grant, and the probable 5 years of funding to pursue these question that we think will benefit patients with rhabdomyosarcoma in a tangible way. Kudos to Megan, who took strong work by Imran, Tohru and GH to the next level and made this project possible. We presented our research project in collaboration with Dr. David Langenau (MGH) at today's SARC clinical trial consortium SPORE meeting - we are grateful for this 2 year pilot project funding. Differentiation as a therapy for rhabdomyosarcoma? possibly! This meeting was productive. Our lab presented at the Soft Tissue Sarcoma Chemotherapy Breakout session on "Three novel target-therapy pairs for potential clinical trials within 18 months? ", as well as at the CNS session on "Ad Hoc Preclinical Consortia to Support Trial Design". Both presentations bridged scientific/drug discovery and the potential initiation of clinical trials. We are grateful to collaborator Chris Vakoc for the opportunity to present the lecture, "Rhabdomyosarcoma: Developmental Origins & Therapeutic Opportunities" as the prelude to a collaboration made possible by generous rhabdomyosarcoma patient advocates in this community. The Pablove Foundation is hosting a scientific conference on rhabdomyosarcoma & soft tissue sarcoma November 6-8, 2014 in Los Angeles. This is a by-invitation meeting for clinician-scientists and researchers from the US and abroad; however, the symposium on Saturday November 8 will be open to the public. Registration information will likely be available late Summer/early Fall through the Pablove Foundation website. update: the website is now open for registration. goal was to evaluate progress 2000-2014 in cooperative group clinical trials of new agents for rhabdomyosarcoma. The students concluded that in such trials >525 patients had been planned, at a potential overall cost well exceeding $4.7M (not counting the expense of the drugs themselves). Many of the results of these clinical trials are still pending. That said, this was a very hardworking group of students who really came together for a high-level project and did a terrific job. Matthew from our lab wrote this commentary in Cancer Cell, which frames the question of how soon myo-differentiation therapy will be feasible for childhood muscle cancer. The commentary discusses the article here. Graphic illustration by Nick Escobar. We are grateful to the Alex' Lemonade Stand Foundation for our new instrument, a Form1 3D printer. With this device we can generate custom tissue culture incubation chambers. This project is pioneered by Kirsten and Richard this Summer. stay tuned! [07/14/14] The article, Lineage of origin in rhabdomyosarcoma informs pharmacological response, is now available here. [06/03/14] Congratulations to Jinu whose paper was recently accepted for publication to Genes & Development. This work was funded in part by NIH as well as the Scott Carter Foundation. Clinical translation is hopefully possible, and thus additional preclinical studies with cooperative group and pharmaceutical partners are in discussion. We are grateful to all our collaborators, especially Atiya Mansoor (OHSU), Joel Michalek and Ben Ehler and Monica Suelves (IMPPC). We are excited to have Kirsten on our team this Summer. Kirsten is an orthopedic surgery resident with a keen interest in tissue engineering.
" I graduated from the University of Missouri–Kansas City School of Medicine in 2011 with my MD and BA in Biology through the combined MD/BA program. Shortly, thereafter I moved to Portland to start my 5 years of residency training in Orthopaedic Surgery at OHSU. My interests in the field include joint reconstruction and orthopaedic oncology. I hope to bring the unique perspective of a surgeon scientist to Dr. Keller's lab as we work to develop a 3D in vitro sarcoma model system. In my free time I enjoy playing disc golf and spoiling my cats. 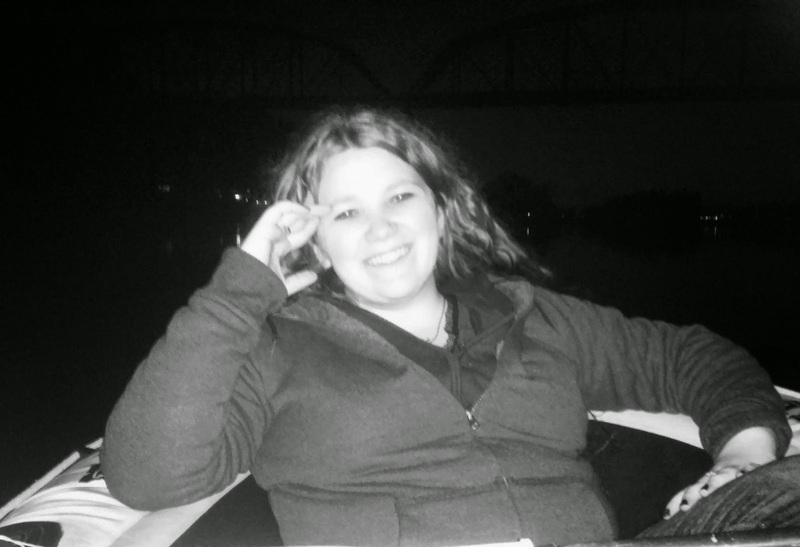 Kirsten "
We are privileged to have engineering undergraduate student, Richard, join our team as a Summer intern. "I am a sophomore at The University of Notre Dame. This opportunity at the Keller Laboratory excites me because it gives me a chance to challenge myself and develop a deeper understanding of how research is conducted. As an individual who has been affected by the loss of loved ones to various forms of cancer, the implications of the research at The Keller Laboratory are especially important to me as well as thousands of others who are personally affected by cancer." We are excited to have on our team Renae, a Summer student investigating EphB4 and EphrinB2 in childhood cancers. "I will be starting my second year at Pacific University in the Fall where I am studying biology and will graduate in 2016. After graduating I hope to enroll in a MD/MS program in the hope that it will allow me to build a future career working both in the lab and with patients. I became interested in pediatric oncology in high school and am grateful to now have the opportunity to be working in a lab that is so focused on discovering new and better treatments and hope to do the same in the future." The Kyla McCullough Gift Fund graciously provided funds to purchase a very useful new instrument - a multiwell electroporator. We are grateful to Kyla's family and the KMGF community of supporters for making this possible. It really accelerates what we do - and expands the kinds of experiments that can be performed! we are grateful that the ALSF and its supporters have shared with us some of the 'lemon wishes'. For the ALSF Spring newsletter, click here. This past week the Cold Spring Harbor Laboratory held a special Banbury Conference to critically examine scientific and translational progress in rhabdomyosarcoma. Through the kind sponsorship of members of the community, an international group of clinicians, cancer scientists and muscle biologists met to discuss driving clinical & biological problems in pediatric, adolescent and young adult rhabdomyosarcoma. From this meeting will come a "white paper" describing prioritizes areas for further development - and collaborative opportunities. We are grateful to the CSHL Banbury staff, as well as the CSHL leadership, for making this very unique meeting possible. Congratulations to Noah, visiting engineering student from the Pal laboratory, whose manuscript, "An integrated approach to anti-cancer drug sensitivity prediction" is now published in IEEE/ACM Transactions on Computational Biology and Bioinformatics. 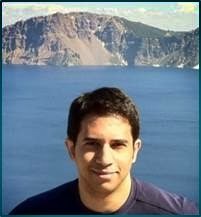 Many congratulations to Imran for his publication, PDGFRβ reverses EphB4 signaling in alveolar rhabdomyosarcoma, today in the Proceedings of the National Academy of Sciences of the USA. 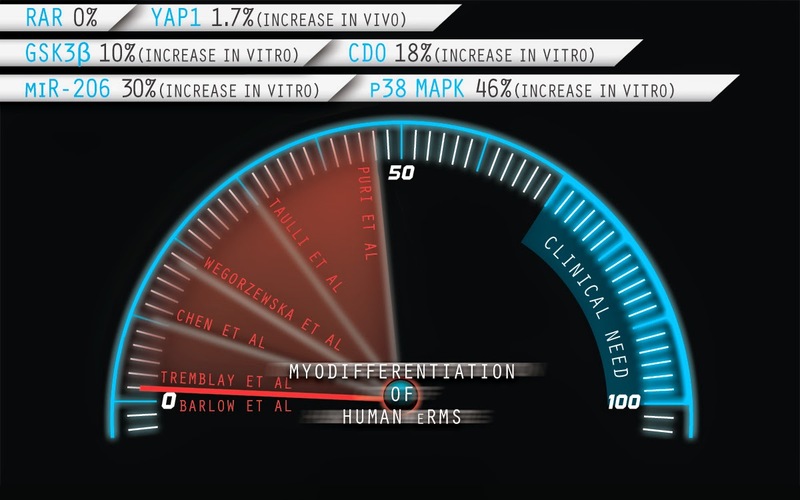 This study was a collaboration of the Tyner, Druker and Keller laboratories - highlighting some key growth factor receptor targets in this disease. This study was funded in part by the Howard Hughes Medical Institute, the National Cancer Institute, and the Joanna McAfee Childhood Cancer Foundation. The Fall COG meeting was held in St Louis this past week. The soft tissue sarcoma session, and corresponding Ewing's-Rhabdomyosarcoma Biology session, were very productive. We are grateful for the $25,000 directed gift from the Northwest Sarcoma Foundation that facilitates Seattle-Portland collaboration in the genetic and functional characterization of adult bone and soft tissue sarcomas. This is the second year of this program, which supports collaboration between our laboratory and Dr. Robin Jones at the Seattle Cancer Care Alliance. We are grateful to the SARC SPORE pilot grants program which has awarded a 2nd year of funding to our collaboration with Dave Langenau's lab at MGH evaluating myodifferentiation therapies for rhabdomyosarcoma. 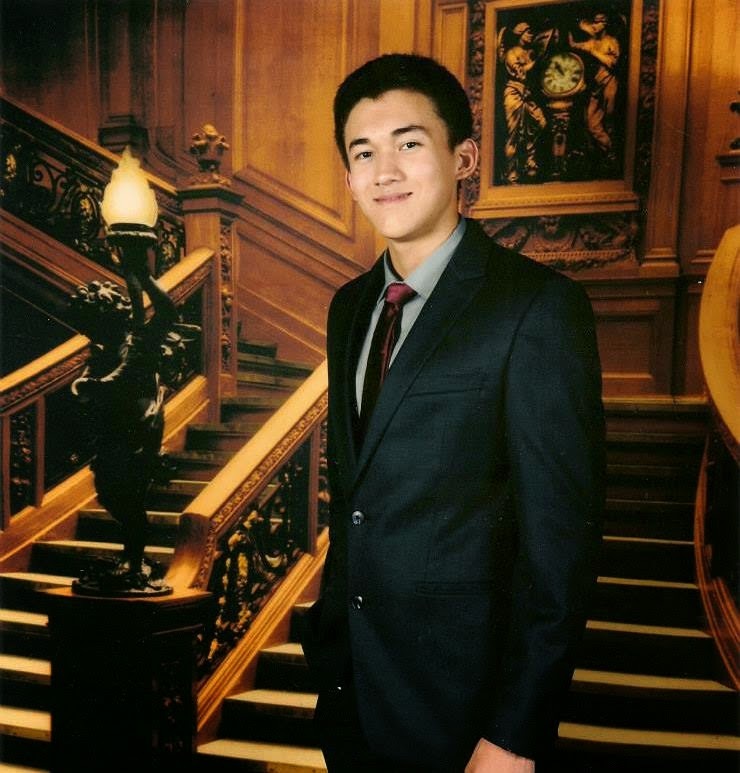 Many congratulations to Jinu, whose grant application entitled, "Molecular Reversal of Relapse in Childhood Muscle Cancer" was chosen for funding by the Friends of Doernbecher Foundation! "Derivation of Myogenic Progenitors Directly From Human Pluripotent Stem Cells"
Lab alumnist Tohru Hosoyama has recently published a very nice study entitled, "Derivation of Myogenic Progenitors Directly From Human Pluripotent Stem Cells Using a Sphere-Based Culture" in the journal, Stem Cells Translational Medicine. This is work from Tohru's second postdoctoral fellowship with mentor Dr. Masatoshi Suzuki. Tohru is now an Assistant Professor in the Dept. of Surgery and Clinical Sciences, Yamaguchi University, Japan. It has always been a pleasure to follow Tohru's work, which is both innovative and impactful. ... shave her head, for adolescent and young adult cancer research? Click here to learn more, see Lara's video and contribute to this bold effort! The shaving event happens May 31! The community owes a great thanks to David Arons and his team at the National Brain Tumor Society who yesterday held the 2nd working group meeting on "Key Issues in Pediatric Brain Tumor Research: Availability of Drugs for Pediatric Brain Tumor and Pediatric Cancer Research". This meeting brought together academics, the Children's Oncology Group leadership, pharmaceutical stakeholders and members of the advocacy community - and it is hoped that specific improvement outcomes will result. 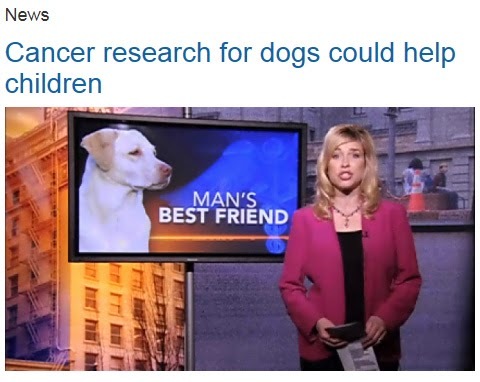 We are grateful to Cathy Marshall for her local NBC news story on our project for dogs with osteosarcomas. ** This project is described in more detail on our Consano crowdfunding site under, "Be a dog's best friend, help a child". To inquire if your dog can participate, please email Dr. Keller at keller@ohsu.edu. The early work in this project was made possible by a great community of supporters including the Scott Carter Foundation and the Trey Foote Foundation (Amanda, Trey's brother, is in the KGW interview). Our partner on the veterinary side is Dr. Bernard Seguin, a veterinary surgical oncologist at the world-leading Flint Animal Cancer Center at Colorado State University. To see the KUSA 9-news story by Kelly Sommariva, click here. Ken's paper highlighted in Nature Reviews Cancer! Please see the February 2014 Nature Reviews Cancer for a Research Highlight of Ken's paper that appeared last month in PLoS Genetics. The highlight written by written by NRC chief editor, Nicola McCarthy, is entitled "Flexibility could be important". 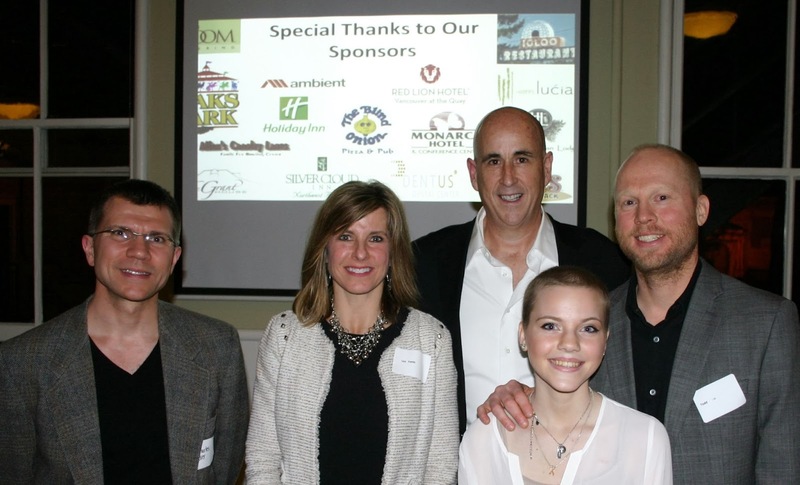 We are grateful to the family, board and community supporters of the Trey Foote Foundation for the fundraiser and osteosarcoma awareness event last night at the Fort Vancouver Reserve. This remarkable evening was organized over 9 months by the students of the International Air and Hospitality Academy (special thanks to Tim Kossow). This event was both seamless and fun, and we can't thank enough the generous attendees to making the night such a success. for the Doenbecher - Trey Foote Foundation blog, click here. our thanks to the Kyla McCullough GIft Fund! multiwell electroporator instrument. This instrument allows our researchers to perform highly efficient genetic studies of primary tumor cells and cell lines -- a completely new set of experiments we could only do with this special instrument! It was great to spend time today with Bret, Brettie, Jen and Matt. Kyla has a daily presence in our research. Two children who found worldwide acclaim through their inspirational battles with childhood cancer continue to make an impact. 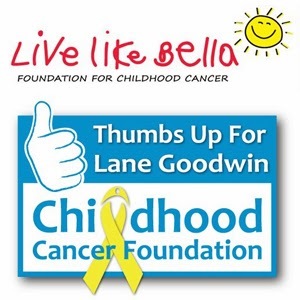 The Thumbs Up for Lane Goodwin Childhood Cancer Foundation and the Live Like Bella™ Foundation for Childhood Cancer have announced the joint funding of the $180,000 “Lane-Bella Project.” The Lane-Bella Project, under the direction of Charles Keller, M.D., an associate professor of pediatrics at Oregon Health and Science University Doernbecher Children’s Hospital and a member of the OHSU Knight Cancer Institute, is a new set of studies to prepare for a clinical trial focusing on Rhabdomyosarcoma, the aggressive childhood cancer that took the lives of both Lane Goodwin, age 13, and Bella Rodriguez-­‐Torres, age 10. The study will focus on finding an antibody to stop the growth of childhood muscle cancers. Once preclinical studies are complete, children around the world might benefit from these new innovations as early as 2015. The trial is the largest project funded by the two foundations, with each contributing $90,000, and includes the $20,000 donation that the MLB National League Rookie of the Year, Marlins Pitcher Jose Fernandez, directed to the Live Like Bella™ after receiving the honor. Gifts designated for the Lane-­Bella Project will also be applied to the historic Knight Cancer Challenge. Nike co-founder Phil Knight and his wife, Penny, will match OHSU’s fundraising efforts if it meets its $500 million fundraising goal by the end of 2015, totaling $1 billion to advance the Knight Cancer Institute’s vision to end cancer as we know it. To learn more, visit ohsu.edu/knightcancerchallenge. The Live Like Bella™ Foundation was founded in memory of Bella Rodriguez-­‐Torres. It funds innovatve pediatric cancer research, provides recreatonal support for families with children in treatment and assists families who have lost a child to cancer. Megan's project, sponsored by the Alex's Lemonade Stand Foundation, was highlighted today by Elizabeth Hayes in the Portland Business Journal. For project updates, click here. 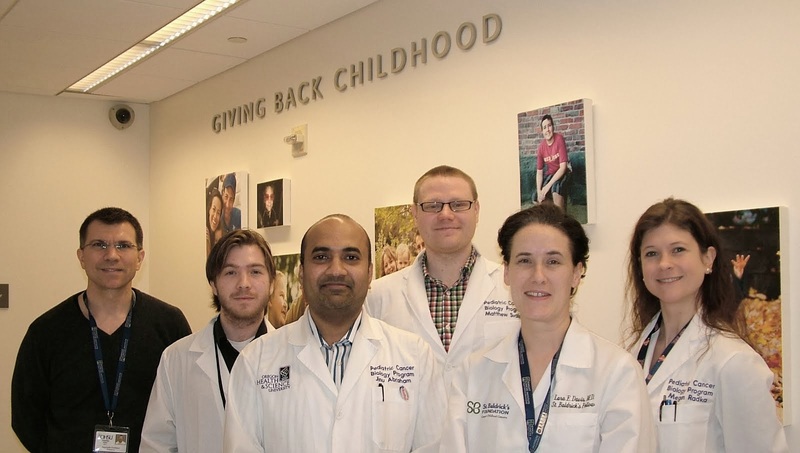 Congratulations to the 2012 Participants of the OHSU Pediatric Cancer Nanocourse whose peer-reviewed commentary, "A Diffuse Intrinsic Pontine Glioma Roadmap: Guiding Research Toward a Cure" is published in the journal, Pediatric Blood & Cancer. It should be emphasized that this scholarly work is that of members of the community: parents, survivors and students. We are grateful to have been able to work with this talented and insightful group of individuals. stay tuned for additional information on an upcoming Banbury Meeting on Rhabdomyosarcoma, hosted by the Cold Spring Harbor Laboratory, May 13-16. Tumor Cells in a Hurry: Duct Tape will do! In alveolar rhabdomyosarcoma, 70-75% of tumors carry the Pax3:Foxo1a oncogene. This oncogene seems to account for a large difference in the response to chemotherapy and radiation relative to rhabdomyosarcomas that do not carry this fusion gene. In a report just released in PLoS Genetics, Ken from our lab reports that Pax3:Foxo1a levels fluctuate during tumor cell replication, and that a primary function of Pax3:Foxo1a seems to be “checkpoint adaptation” – the process of giving the cell permission to continue cell division despite damage from therapy… with the hopes that this damage can be later repaired, simply tolerated – or may offer an advantage to the tumor cell as a result of newly gained mutations/properties. The paper is freely available online at: http://www.plosgenetics.org/doi/pgen.1004107. This incredible group of commercial fishermen in British Columbia support children with cancer and childhood cancer research while having a fun time. Their website and 2013 herring sale video can be seen at www.fishermenhelpingkidswithcancer.com. On Saturday Jan 10th was the Alex's Lemonade Stand "Lemon Ball". What a fabulous event, and a terrific community of supporters. In attendance was not only Charles, but also our collaborator DR. David Langenau from MGH (fish rhabdomyosarcoma expert) and his wife, Brenna. Dave and Brenna are pictured here. PORTLAND, Ore. – An international consortium of researchers focused on identifying new molecularly targeted drugs to treat the most fatal form of childhood brain tumor, diffuse intrinsic pontine glioma, or DIPG, has been awarded nearly $300,000 by The Lyla Nsouli Foundation for Children's Brain Cancer Research, based in London, England. The foundation was established in memory of 3-year-old Lyla Nsouli, who died in January 2012 after a devastating five-month battle with DIPG. To date, no treatment does more than incrementally increase survival of children with DIPG. One day a child may have a headache or unsteadiness, but the next day a family's life and plans are tragically changed. A group of international researchers called the DIPG Preclinical Consortium hopes to change this. “Our first phase of drug screening and tumor DNA sequencing couldn't have been possible without the support of the Lyla Nsouli Foundation, the Cure Starts Now, Accelerate Brain Cancer Cures and CureSearch Foundations. Now that we have drug leads, the hard work of validating these begins. The Lyla Nsouli Foundation has been with us every step of the way, both in terms of support and accountability — both matter,” said consortium coordinator Charles Keller, M.D., associate professor of pediatrics at Oregon Health & Science University Doernbecher Children’s Hospital and the OHSU Knight Cancer Institute. Consortium member Jacques Grill, M.D., Ph.D., Institut Gustave-Roussy, Villejuif, France, innovates by creating living cell cultures not from autopsy-derived tumor samples, but from biopsies from the brainstem. This novel approach was initially controversial but is winning acceptance, Keller noted. Each member will take a different but complementary role to ensure the results of the robotic drug screen of 17 autopsy- or biopsy-derived DIPG cultures can be validated in mouse models. "This collaboration has been a wonderful opportunity to work together as a community to move the field closer to an effective therapy for this terrible disease. I am hopeful that, together and with the immense support from Lyla Nsouli Foundation, we will make real strides forward now," said Michelle Monje, M.D., Ph.D., Stanford University Beirne Faculty Scholar in Pediatric Neuro-Oncology, Stanford Cancer Institute, Lucile Packard Children's Hospital. "The DIPG Preclinical Consortium offers hope where once there was very little. When my son, Andrew, was diagnosed with DIPG in October 2007, I never imagined that such a collaboration would exist a few short years later — a collaboration where exceptional science and a remarkable patient community meet in partnership to change the future for children like Andrew and Lyla," said DIPG parent Sandy Smith. Consortium members include: Keller, Kellie Nazemi, M.D., Nathan Selden, M.D., Ph.D., Doernbecher Children’s Hospital, Oregon Health & Science University; Monje, Stanford University; Grill, Institut Gustave-Roussy; Oren Becher, M.D., Duke University Medical Center; Cynthia Hawkins, M.D., Ph.D., University of Toronto; Xiao-Nan Li, M.D., Ph.D., Baylor College of Medicine; Esther Hulleman, VU Cancer Center Amsterdam; Eric H. Raabe, Johns Hopkins University; Katherine Warren, Paul Meltzer and Martha Quezado, NIH; and Marta Alonso, University of Navarra, Madrid, Spain. The DIPG Preclinical Consortium is funded by the Lyla Nsouli Foundation for Children’s Brain Cancer Research, the Cure Starts Now, Accelerate Brain Cancer Cures and CureSearch Foundation. Nationally recognized physicians and nurses at OHSU Doernbecher provide a full range of pediatric care to tens of thousands of children each year from Oregon, Southwest Washington and around the nation in a family-centered environment. OHSU Doernbecher specialists also travel throughout Oregon and Southwest Washington, caring for more than 3,000 children at more than 200 outreach clinics in 15 locations. Neonatal and pediatric critical care experts provide round-the-clock consultations to community hospitals statewide through OHSU Doernbecher's state-of-the-art telemedicine network. We are grateful to the Alex's Lemonade Stand Foundation for funding to enable the translation of a basic science discovery to preclinical trials so that Children's Oncology Group phase I and II trials might be possible. The discovery of EphB4 as a therapeutic target in alveolar rhabdomyosarcoma was work of former HHMI medical student fellow, Imran Aslam (now a JHMI internal medicine resident). Working in collaboration with the Druker laboratory, Imran uncovered the EphB4-EphrinB2 as the potentially highest value target in rhabdomyosarcomas. This ALSF REACH award allows us to investigate an anti-EphB4 antibody in embryonal rhabdomyosarcoma, as well as an EphB4-nanoparticle sump in alveolar rhabdomyosarcoma, embryonal rhabdomyosarcoma and osteosarcoma. This work will be carried on by our star muscle- and mouse models expert, Megan. Check back regularly for updates on Megan's progress! 02/06/2014: The immunocompromised mice we will be using to test the efficacy of an anti-EphB4 antibody have arrived. These mice will be used to create pilot orthotopic xenograft models of eRMS in the coming weeks. 02/20/2014: This week, the first set of immunocompromised mice were injected with Rh18 cells (a human derived eRMS cell line). This begins a pilot study to demonstrate the latency with which a xenograft from this cell line will successfully create tumors in the strain of mice that we will use for future Alex’s Lemonade Stand experiments. In other strains of immunocompromised mice, Rh18 cells have generated tumors in 6-8 weeks- we’ll have to wait and see if these mice follow suit! 02/27/2014: Currently we are growing a new cell line to inject into the mice which are part of our pilot experiment. To be consistent between experiments, we need the same amount of cells for each mouse we use. This new cell line is a little slow growing; as it is with many other research experiments, the hardest part is waiting! 03/14/2014: more watchful waiting (nothing new). 03/20/2014: A second round of cells have been injected into immunocompromised mice this week to continue our pilot experiments for this Alex’s Lemonade Stand project. Our next steps will be to observe these mice over the next few weeks and take note of when the tumor cells engraft and begin to grow. 03/27/2014: no new news. still in watchful waiting mode. 04/04/2014: still awaiting tumor development before initiating drug trials. 04/10/2014: Our pilot study is progressing nicely this week, with 3 of our orthotopic xenograft mice developing tumors. We will continue to observe our other injected mice for tumor development over the next several weeks. 04/14/2014: See the blog post http://kellerlabblog.blogspot.com/2014/04/imrans-paper-published-in-pnas.html for a link to today's published PNAS paper on this topic. The studies in Imran's paper were the basis of this "next steps" project. 04/17/2014: The growth of the current tumors is progressing as expected. Our second group of mice have not grown any tumors yet, but they are still within the expected latency time for development. We continue to monitor them daily. 04/24/2014: New batch of EphinB2-neutralizing biological agent received from pharma partner, facilitating the next series of therapeutic studies. 05/08/2014: mouse studies about to start for EphinB2-neutralizing biological agent. 05/15/2014: This week our official investigation on the efficacy of an EphrinB2-neutralizing agent has begun. The study mice arrived on Wednesday and were injected with Rh18 cells, a well characterized human eRMS cell line. Using our pilot data, we expect tumors to form within the next 2-3 months. Additionally, our second pilot study is still ongoing; we are continually monitoring the mice for development of tumors. 05/21/2014: Rh18 xenograft studies still ongoing. 06/05/14: No new news to report this week. We do not expect treatment on our experimental mice to begin for a few more weeks, and we are continually monitoring both our initial pilot mice and current experimental for tumor development. 06/12/2014: Still patiently waiting this week for mice in both experimental groups to develop tumors. 06/26/2014: Tissue microarrays of EphB4 and EphrinB2 on embryonal rhabdomyosarcoma are complete (it will take 1-2 weeks to analyze these with our pathologist collaborator). We are also still patiently monitoring our immunocompromised mice for development of tumors. We are checking them 3 times a week so as soon as tumors develop we can begin treatment. Stay tuned! 07/10/2014: Exciting news from the Keller Lab for our Alex’s Lemonade Stand project this week! The immunocompromised mice have started growing small tumors for the Rh18 eRMS cell line. In the coming weeks, most will begin receiving either an EphrinB2-neutralizing agent or a control drug. Each mouse will be monitored daily and tumors measured three times per week. This experiment is progressing on schedule and the next few months should be full of interesting data. 07/18/2014: The Alex’s Lemonade Stand experiment is progressing nicely this week. All mice are tolerating the dosage of the drug well, and are not exhibiting any side effects/toxicity. Expression of EphB4 and EphrinB2 in a small set of human osteosarcoma samples verified (request for TMA sent to COG); early studies of neuroblastoma are promising. 07/31/2014: This week, our experimental mice continue to be monitored daily. We will be wrapping up the in vivo testing in the coming weeks, then moving on to the data analysis phase. 08/08/2014: EphB4 and EphrinB2 immunohistochemistry optimized for canine osteosarcoma (for pets with spontaneous osteosarcoma a potential preclinical model to help the dogs, and plan for a human osteosarcoma trial.) Request sent to NCI comparative oncology program for canine TMA slides. Meanwhile, the Rh18 eRMS mouse studies with the EphrinB2-neutralizing agent are wrapping up. 08/21/2014: The in vivo portion of our Alex's Lemonade Stand project is slowly coming to a close. This week some of the raw data analysis and number crunching was started, although it will be several weeks until that is finished. Additionally, there are various supporting experiments that still need to be executed to fully determine the efficacy of the EphrinB2 blocking agent. 09/11/2014: This week our supplemental experiments continue. We are now using RT-PCR to examine the amount of metastasis in the harvested lungs of our treated and control mice. These experiments are time consuming, but will help us decide if the EphrinB2 neutralizing agent administered to the mice was effective in diminishing the metastatic capability of RH18 cells. 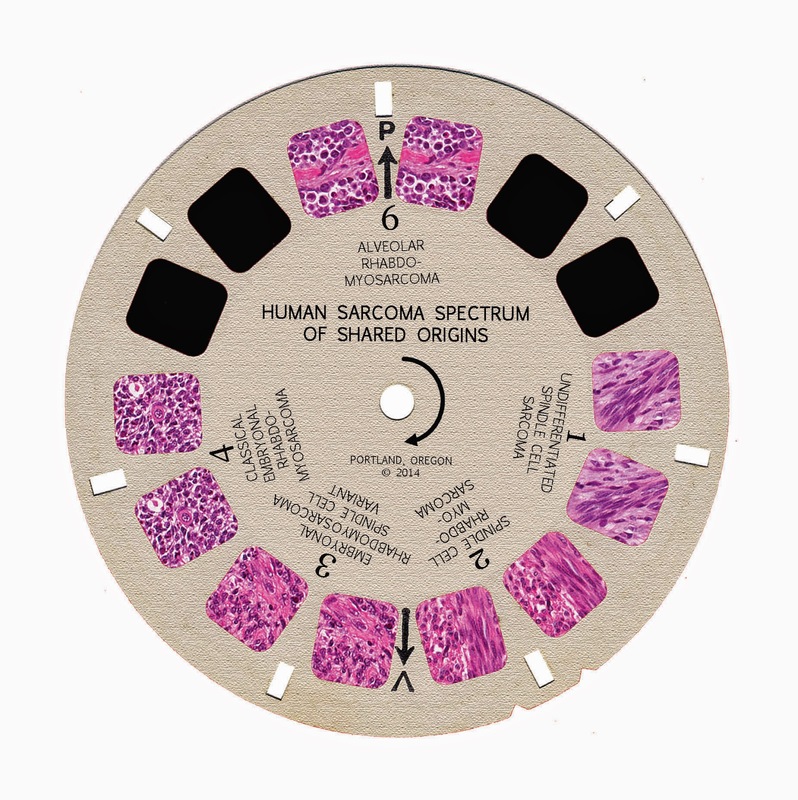 10/02/2014: Canine osteosarcoma TMA's for staining received; COG neuroblastoma TMA slides approved but MTA still to perform; COG osteosarcoma TMA proposal still in review (since July). rt-pcr strategy for above EphrinB2 blocking agent mouse studies (completed) is in revision. Some delays occurred as Megan spent the last 3 weeks in a collaborator's lab at Cold Spring Harbor Laboratory for a new strategic collaboration. 10/16/2014: A few setbacks this week owing to the particularly specific requirements of some molecular biology techniques. We have ordered a few new reagents in an attempt to complete the RT-PCR experiments, and should be back at the bench soon. 10/30/2014: Our new reagents for the revised experiments have just arrived, and soon we should have a clear picture about the efficacy of the EphrinB2 blocking agent on lung metastasis. 12/04/2014: Preclinical trial of sEphB4-HSA in Rh18 orthotopic xenografts is now complete. The next step is preclinical testing in a patient-derived xenograft (see the description of this autopsy-derived model). 12/31/2014: Project on short term hold pending transfer of grant from OHSU to our new, bold adventure at cc-TDI. 01/06/2014: New lab at cc-TDI started! 01/07/2014: Collaborators Ayeza Bajwa and Atiya Mansoor have completed analysis of human eRMS tissue microarrays with unexpected results that point to key differences in aRMS and eRMS with respect to EphB4 and EphrinB2 biology. 01/08/2015: ALSF REACH grant year 2 funding received... this is the first grant funding for cc-TDI ... thank you, ALSF! 01/15/2015: Strategic meeting (teleconference) held including pharma and CSU partners to consider a companion animal trial for osteosarcoma using EphB4/EphrinB2 therapeutics. 01/27/2015: Integration of animal study underway by Matthew, including ongoing tissue analysis from these studies. 02/06/2015: We have begun considering approaches to separating cell-autonomous and tumor microenvironment contributions of EphB4-EphrinB2 signaling in eRMS. 02/13/2015: analysis of tumor cell vs stroma cell expression of EphB4 and EphrinB2 reveals distinct differences in alveolar and embryonal rhabdomyosarcomas. 02/20/2015: For Rh18 xenograft studies (completed), lung metastasis counts are in progress and pharmacodynamic studies are planned. 02/27/2015: COG TMA requests for osteosarcoma and neuroblastoma slides are approved, but MTAs are still in progress. 03/04/2015: Rh18 xenograft pharmacodynamics studies in progress. 05/06/2015: Rh18 xenograft pharmacodynamics studies done; Rh18 lung metastasis count in progress. 05/20/2015: COG osteosarcoma TMA slides arrived May 8; working to verify EphrinB2 expression in PDX models. 06/03/2015: Rh18 xenograft lung metastasis count done. 07/29/2015: CTEP approved neuroblastoma TMA slides protocol July 26. 08/07/2015: westerns on PDXs still ongoing; neuroblastoma TMA slides received. For a summary of our lab's mission and activities, click here. You Can Participate in our Novel Therapeutics Studies ! One would like to think that tangibly better treatments for rhabdomyosarcoma, medulloblastoma and other childhood cancers can be found in a matter of years, instead of tens of years. Finding new treatments starts with research, perhaps even a new research approach to identifying effective new treatments. The Children's Cancer Therapy Development Institute focuses on finding molecules in childhood cancers that can be directly turned off or on by drugs so that the tumor stops growing. Behind our novel approach is the use of genetically-engineered mice. Our Pediatric Preclinical Testing Initiative uses mice modified from before birth so that at a certain age, and in a certain tissue, the same mutations found in a child’s cancer are activated in the mouse. These special mouse models of childhood cancer can be used to test a treatment to see whether the tumor growth and spread (metastasis) can be reversed. The specific aspect of these mice having normal immune systems is a real plus, too, because white blood cells play an important role in how tumors evolve and respond to therapy. For additional information regarding supporting this program please contact Charles Keller at charles@cc-tdi.org. Results obtained through these studies will be shared with the National Cancer Institute’s Cancer Therapy Evaluation Program, as well as the Children’s Oncology Group, which designs clinical trials for childhood cancer. Visit this page and click "subscribe"